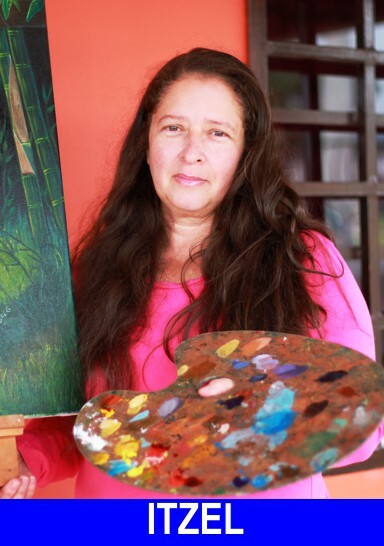 Itzel Gonzalez didn't pick up a paint brush until she passed the age of 47. In the last 3 years she has gone from a rank amateur to a polished professional painter with offers for her paintings close to the $1,000 mark. 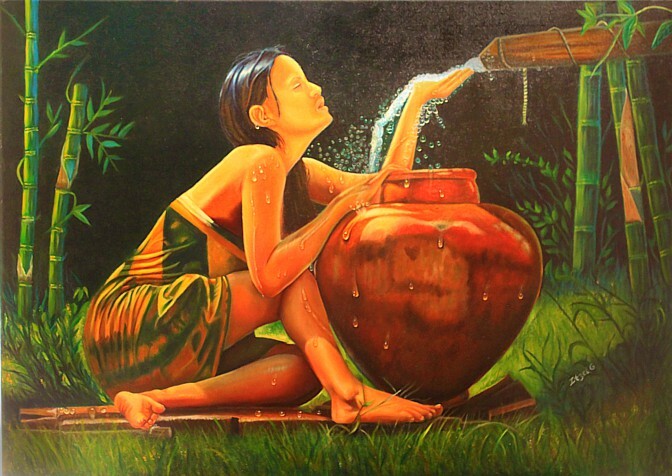 THE WATER GIRL, is a recent painting, inspired by a photograph she saw on the Internet. Credit for her ability must in a large part go to her tutor, JOSE PITTI DEL CID, who teaches art at the San Benito agricultural college. 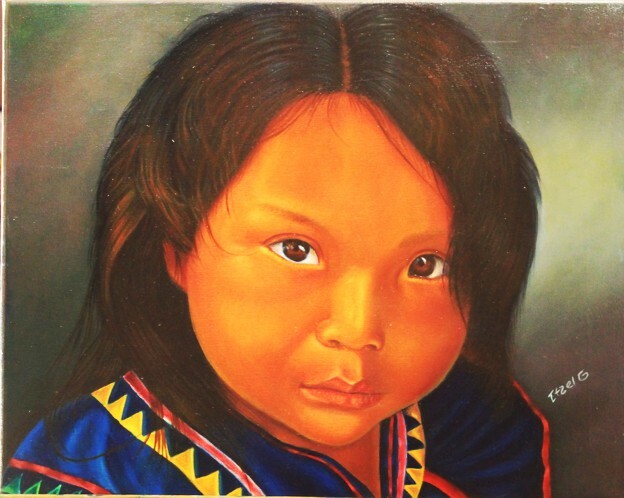 This earlier painting is very much in the style that has made Pitti Del Cid famous - Itzel has definitely captured essence of Del Cid's style in the face of this NGOBE GIRL. This painting started out with the face of the girl coloured green - subsequent semi transparent layers eventually brought the colour to life. 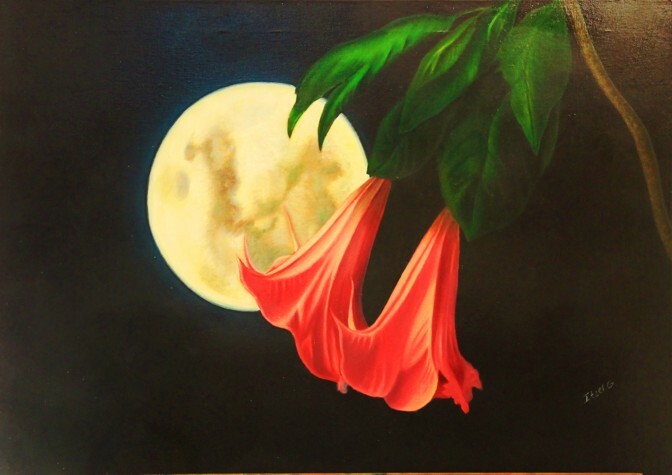 MOONLIGHT FLOWERS, originally had these trumpet flowers in a pale yellow, however ITZEL thought a more passionate red was called for. 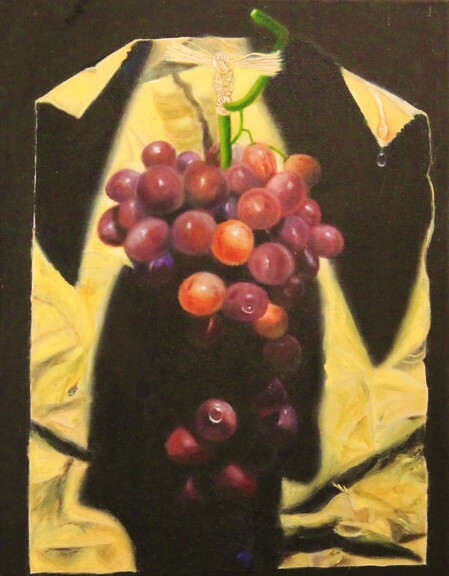 THE GRAPES: this was the first time I saw that Itzel had not only great potential as an artist but enormous patience. Look closely at the painstaking way she worked and re-worked the light and shade on these grapes until they became almost transparent. Amazingly this painting went to canvas just about a year after she started painting. THE COSECHAS required enormous patience and dedication. 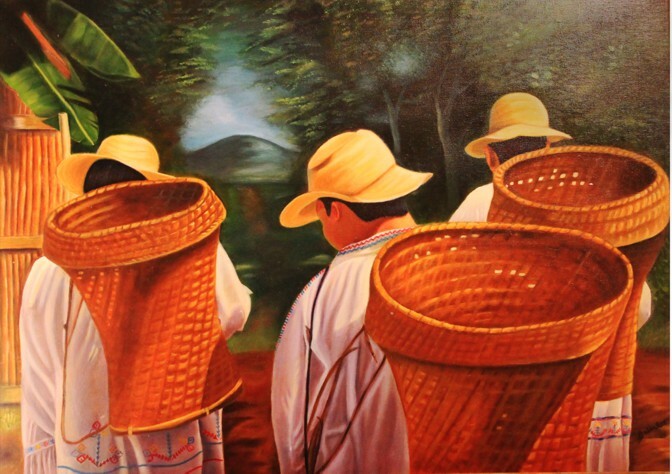 This painting required literally dozens of layers of semi-transparent paint in order to bring out the textures of the baskets and the clothes worn by the "harvesters." THE OWL. 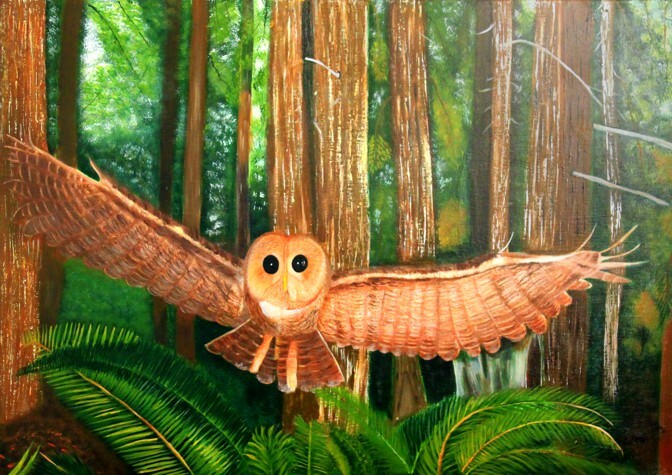 Many people may recognise this painting which was inspired by a photograph from National Geographic. Itzel says her early work was never intended to be sold, she just looked for inspiration in books and magazines and tried to capture the images as closely as she could. STILL LIFE. 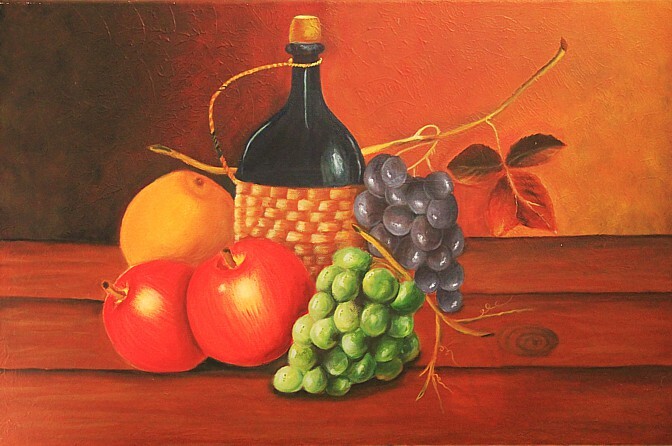 This is also a very early work and Itzel successfully managed to capture the both the textures and shades in this still life painting. Itzel Gonzalez is now working on a seascape and a dedication to the Zimbabwe lion, Cecil, that was so tragically killed by a hunter. Look for her work in upcoming art shows and festivals. Her goal is to have her work made into prints and then this talented painter can share her art with the world.